Recent technological innovations have paved the way to the rebirth of street lights through solar powered ones. Solar street lights are raised outdoor light sources, which are powered by PV (photovoltaic) panels. These panels are mounted on the lighting structure or connected in the pole. PV panels have a rechargeable battery, providing power to the fluorescent or LED lamp during the entire night. Most of the solar panels automatically sense outdoor light through a light source. These can give off light on successive nights even when the sun’s energy is not available for a couple of days. Many users are switching to solar street lights nowadays due to a number of reasons. Solar street lights are independent of the utility grid resulting to lessened operation costs. These means that these are wireless lights and are not connected to your electricity provider. The lights are dependent of the heat energy given off by the sun, storing as much of it throughout the day. 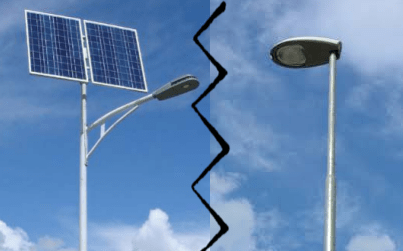 Solar street lights require lesser maintenance than conventional street lights. These have lower chances of overheating. Since solar wires do not have external wires, the risk of accidents is minimized. A lot of times, accidents happen to the personnel who fixes the street light. These can include strangulation or electrocution. Solar street lights are environment-friendly because its panels are solely dependent to the sun hence eliminating your carbon footprints contribution. Some parts of solar street lighting systems can be easily carried to remote areas making these more efficient and handy solutions to lighting problems. On the other hand, if there are advantages, solar street lights also have a number of disadvantages. It also pays to make you aware of these few advantages just so you can compare it to conventional lighting systems. In the end, you just have to decide whether the advantages top the disadvantages or not. Solar street lights require higher initial investment compared to conventional street lights. This is actually the main reason why most people are having second thoughts about switching to solar street lights. They consider the money they are required to spend without realizing the long-term benefits and the longer life cycle of solar street lights. Because these are non-wired, these can easily be stolen. The risk for theft is relatively higher because it has higher monetary value compared to regular street lights. Snow or dust, and moisture can accumulate on horizontal PV-panels. This leads to reduced or full stoppage of energy production. This is why solar street lights need to be checked once in a while especially when placed on areas with extreme weather conditions, which can damage or shorten the life cycle of it. Rechargeable batteries must be replaced a few times within the lifetime of the fixtures. This adds up to the total lifetime cost of the lighting system. Just like other components, rechargeable batteries also get exhausted that is why you must include replacing them as part of your maintenance cost. Now that both the advantages and disadvantages of using solar street lights have been laid out, it’s time that you measure your overall benefit. Is it worth investing in? However, let me tell you this – there are exactly reasons why more and more people are switching to solar street lights so why not give it a try? For inquiries about our solar street lights, please contact us here and a dedicated staff will assist you right away. 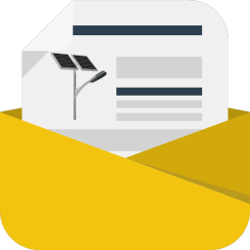 By subscribing the FREE Sunmaster newsletter, you won't miss a single news from the world of Solar Street Lighting!